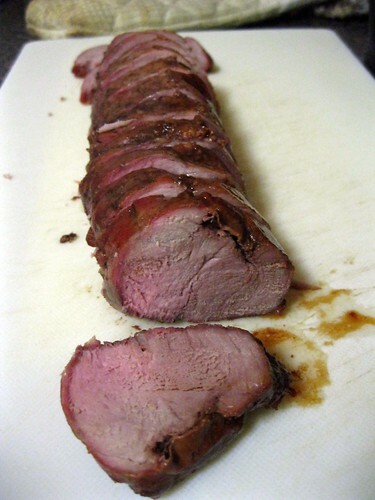 Sweet Glazed Pork Tenderloin | Hapa...Shot the Food! 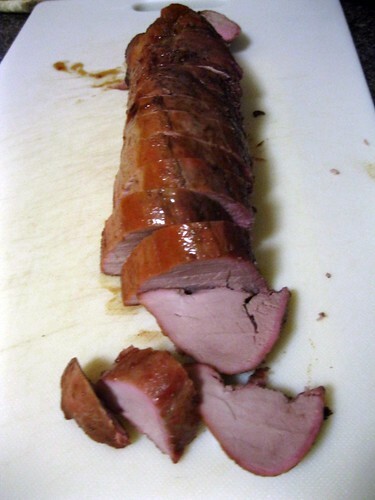 Ah, pork tenderloin… one of the leanest meats around; I always grab one (or two) when the cut’s on sale. 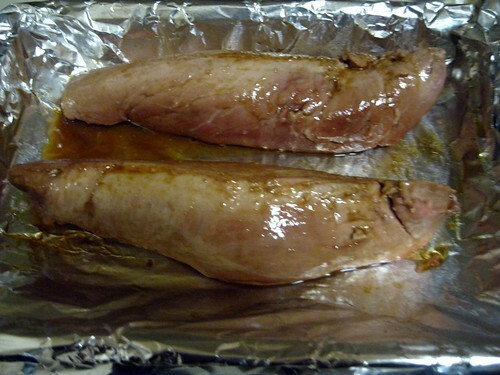 Last week, we baked the tenderloins and basted them in a sweet glaze made of honey, balsamic vinegar, brown sugar, sesame oil, and soy sauce. 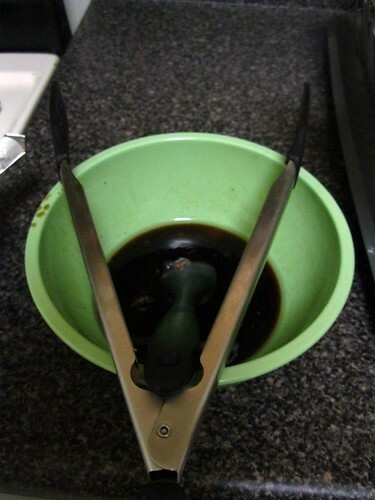 Mix the honey, soy sauce, brown sugar, sesame oil, and balsamic vinegar in a bowl. 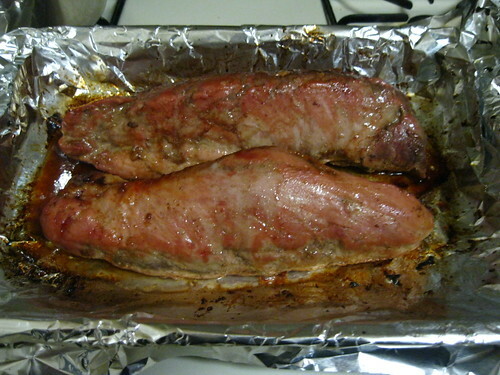 Place the pork tenderloins in a roasting pan, and roast 15 minutes in the preheated oven. 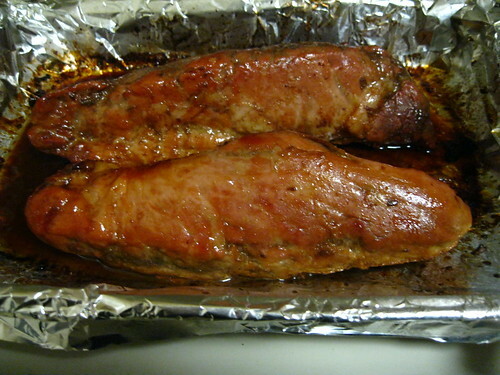 Remove pork from oven, and baste with the honey sauce. Reduce oven temperature to 350 degrees F , and continue roasting pork 45 minutes, basting occasionally with the honey sauce, to an internal temperature of 160 degrees F.
The below shots are sort of time-lapse shots from step 4. 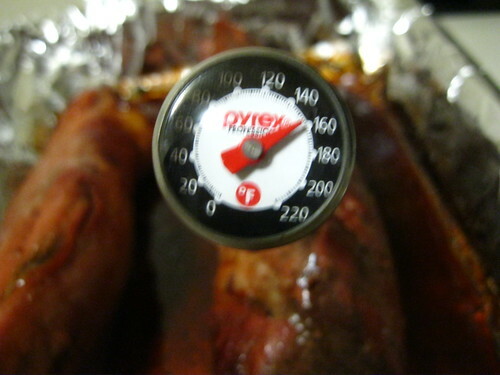 This shot was taken after the first baste…. These were after the third. We made sure to let the tenderloins rest before cutting into them. 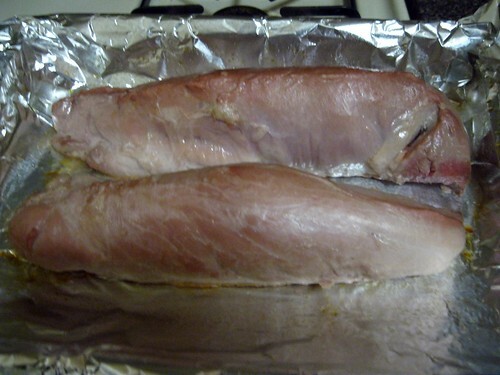 The batch also turned out quite tender, though I wonder what would happen if I had brined the tenderloins first. 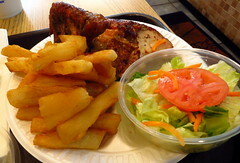 The glaze only surrounded the outside of the pork, so unless you soaked the medallions in the leftover glaze, you wouldn’t have too sweet of a medallion. 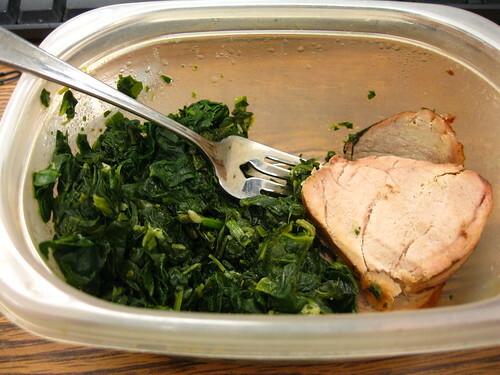 The recipe made for quite a few days’ worth of lunches and dinners. 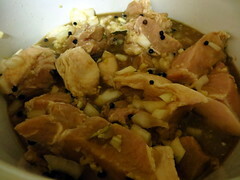 Posted on July 18, 2011, in recipe, Uncategorized and tagged pork, tenderloin. Bookmark the permalink. Leave a comment.